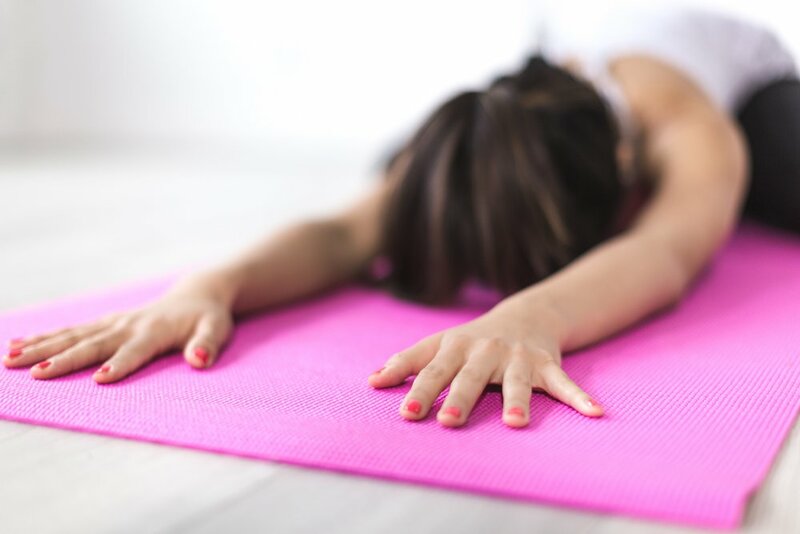 This is a 1-hour Vinyasa style yoga class, where we mindfully focus to connect our movements to our breath. Class begins with a few minutes of centering, and then we move through poses that encourage strength, balance, and improved flexibility. Each class is designed to cultivate heat in all muscle groups, improve endurance and challenge mental focus. Time is taken at the end of practice to focus on more restorative poses, and ultimately, we end in our final resting pose, encouraging peace to the body and mind. All levels are welcome! The classes are run in 6 weeks session. Love a good cardio & strength workout? Know that Yoga is great for your body but don’t know where to start? Been wanting to give meditation a try because of it’s numerous benefits but aren’t sure how? Trying to figure out how to fit it all in? No worries, Thrive has you covered! Join Monica, NASM-CPT, for our new 4 week series Body, Mind & Soul, a fusion of High Intensity Interval Training (HITT), Yoga inspired moves, & meditation. This 55 min class will address all aspects you’ve been wanting but haven’t had time for. It involves a series of movements performed in a slow, focused manner and accompanied by deep breathing. It is a self-paced system of gentle physical exercise and stretching. Each posture flows into the next without pause, ensuring that your body is in constant motion. Mom & Me Preschool Yoga is a 45-minute class designed for preschool aged children and their caregivers. This interactive class combines fun, imaginative and age-appropriate yoga poses with songs, stories, and games to create an enriching environment. Each class is designed around preschoolers’ curiosities as they learn yoga through repetition, interaction, and play. Join us as we act like animals, recreate stories, and sing songs, all while exploring yoga movements and principles that encourage our little ones towards maintaining healthy bodies and minds. No yoga experience is required for any participant. Younger siblings are always welcome to join in too!